Decided to visit a tropical paradise, one that will have you sunning on the beach under an umbrella all day long? Don't be afraid to go out in the sun! 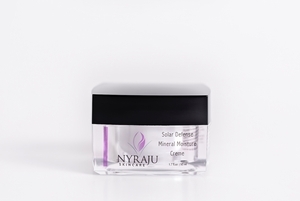 With NYRAJU Skin Care's Solar Defense Mineral Moisturizer with SPF, your sun-sensitive African-American skin is safe from premature aging caused by the harmful ultraviolet rays of the sun. We've re-formulated our SPF Daytime moisturizer and made it even better. We added the super hydrating benefits of seaweed that's known to drench your skin with vital nutrients. It's Aloe Vera based, so the moisturizing cream nourishes and protects your skin. We've also added Titanium and Zinc that are known to create a light reflective shield from the sun. Don't worry, no white film will form on your skin. It's lightly tinted with mineral micas and blends seemlessly into your skin without any heavy residue, white film or greasiness. It's silicone free and is ideal for oily and combination skin types and it is non comoedogenic. In other words, it won't clog your pores and cause blackheads. You just might like the way it looks and feels on your skin without any makeup. For those of you that can't go without your makeup, you'll only need a little, makeup that it. Order your all-in-one sunscreen and moisturizer now! Put about a dimes worth into the palm of your hand. 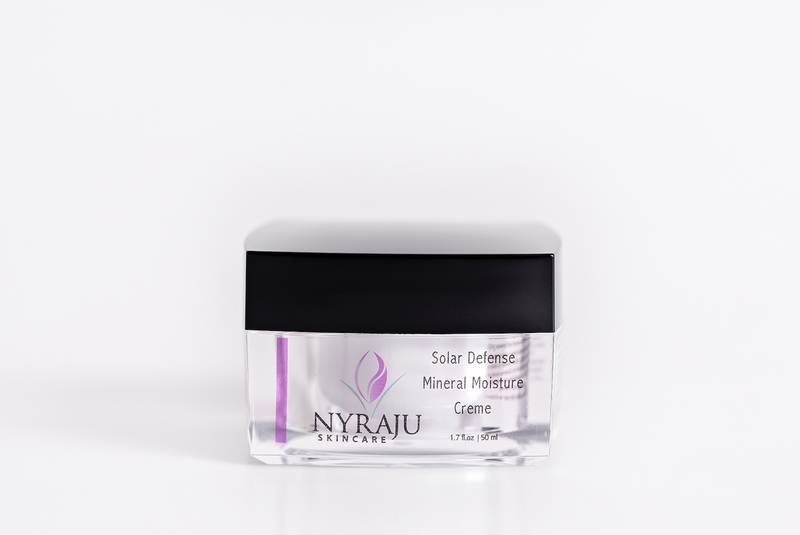 Take your index finger and dip it into the Solar Defense Mineral Daytime Moisturizer in your palm and strategically place dots onto your forehead, cheeks, neck, shoulders and decollete and massage it into your skin in an upward motion. I didn't think I needed a sunscreen until I spent the summer in Texas with my cousins. My aunt had your product in her bathroom and I used it like it was body butter. It said moisturizer with SPF and it worked. I had to replace her jar and buy my own but it was worth every penny.I didn't need as much as I was putting on but my skin felt and still looks great. I always thought I needed two products but your daytime moisturizer w/SPF gives me every thing I need in one product. It's great in the summertime and sets the foundation for my makeup without it feeling thick and sticky.